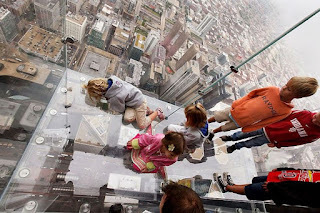 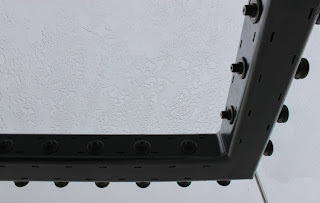 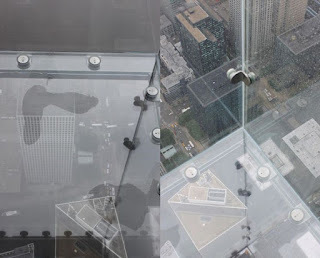 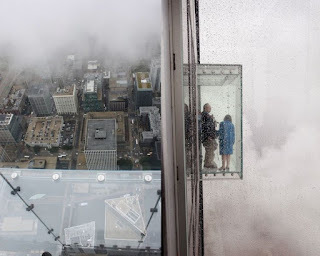 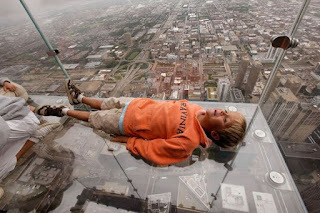 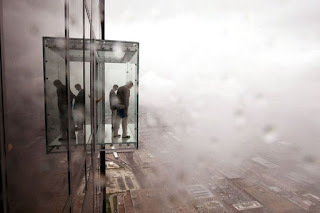 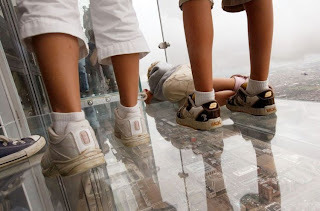 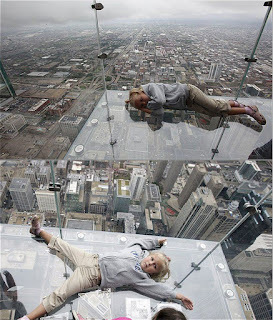 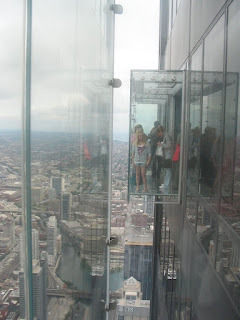 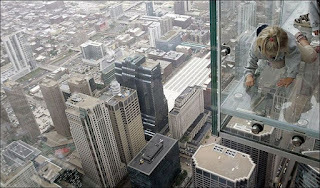 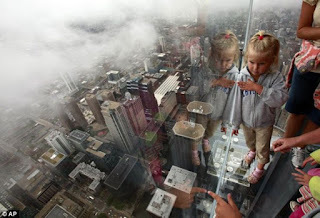 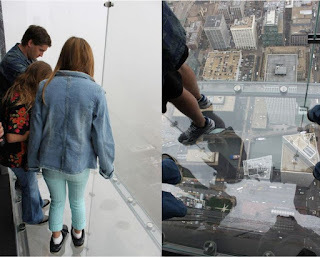 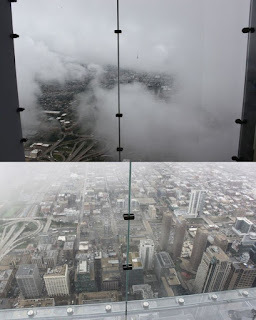 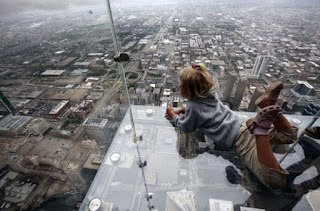 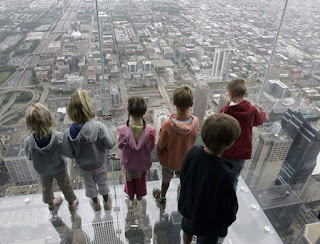 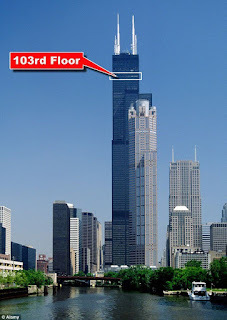 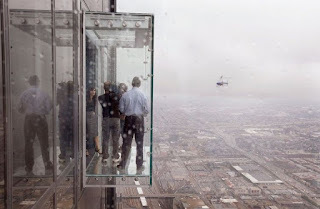 Not content with having the tallest building in America, the owners of Sears Tower in Chicago have installed four glass box viewing platforms which stick out of the building 103 floors up. 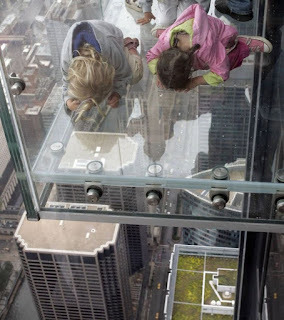 The balconies are suspended 1,353 feet in the air and jut out four feet from the building's Skydeck. 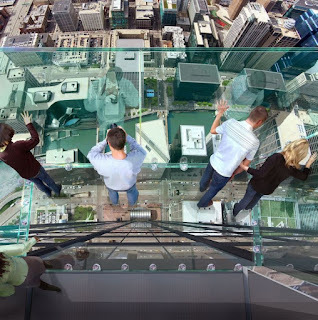 Designers say the platforms - collectively dubbed The Ledge - have been purposely designed to make visitors feel as they are floating above the city.